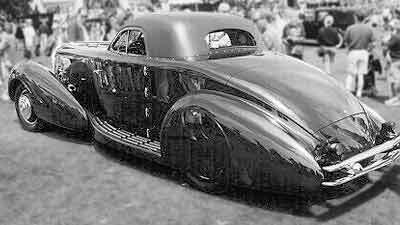 Albert H. Walker was an Englishman from Kenilworth in Warwickshire who in 1934 took over the vacant Indianapolis Weymann American Body plant in 1934 to build a handful of bodies for Duesenberg. Only 7 Walker-built Duesenberg bodies were built before he withdrew from business in 1935, and today they’re referred to as Walker-LaGrandes. By 1926, Charles T. Weymann had made a fortune on his patents - he boasted of 123 licensees worldwide - but the American market proved elusive, so when Fred Moskovics approached Weymann looking for a light-weight body for his new Stutz 8, Weymann was eager to please. Both Stutz and Weymann tried to interest a few production body builders in setting up a line to build the fabric bodies for Stutz, but nobody was interested. The former Rubay/National factory was leased in Indianapolis for the new venture and the first Weymann-equipped "Safety Stutz" rolled out of the Weymann American Body Co. factory in the Spring of 1927. Although the details are sketchy, rumor has it that a substantial portion of the capital used to outfit the new factory was furnished by Stutz. The venture was described as a "uniting of European and American capital." George Connolly, an experienced body designer formerly of Hupmobile and Murray, was appointed president, and two bankers, Hermann Steinbrugg - a banker cousin of Weymann's - and Maurice Dollfus were elected to the board of the new firm. Steinbrugg had previously served as the US representative of Weymann and helped with the tests carried out by the Checker Cab Co., Weymann’s only American licensee. In 1928 Weymann American's management was reorganized. John Graham, formerly with the Holbrook Co of Hudson, NY became its president, A. H. (Bert) Walker, its chief designer and E. G. Izod its managing director. Graham, a pioneer in the custom-body field, co-founded Holbrook in 1908 and was its guiding hand for a great many years while Walker - one of Great Britain’s foremost designers and body engineers - had previously worked with C.T. Weymann in the Paris factory and had later managed the English plant. Izod had worked for Weymann’s British subsidiary in the same position. The board of directors was also reorganized with H. Leigh Whitelaw, an American natural gas company executive, elected as chair. Whitelaw probably brought in a sizable amount of cash as he was also given a seat on the parent company’s board (now called Weymann Corp.) as well as a seat on the board of Weymann Motor Bodies, Ltd, its British subsidiary. In 1929 Weymann issued its own catalogue depicting a number of unidentified American-looking chassis adorned with Weymann bodies. Among them were a Stutz Monte Carlo, a Pierce-Arrow coach, an L-29 Cord Faux Cabriolet and a Duesenberg Model J sedan. 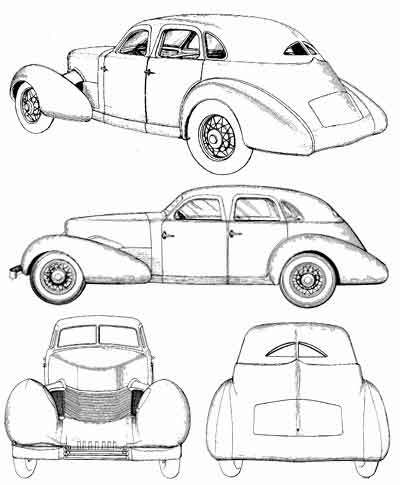 While Stutz remained their best customer, Weymann made a total of 13 bodies for Duesenberg including a speedster that still retains its Weymann body. Auto designer Gordon Buehrig worked a short time for Stutz during late 1928 and early 1929. While he was there he designed the Weymann-built boat-tail speedster bodies for the factory’s 1929 LeMans entries. 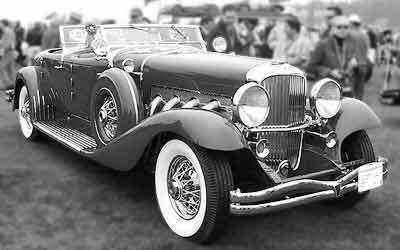 He also designed most of the 13 Weymann bodies that made their way onto Duesenberg Model J chassis after he left Stutz to work for Duesenberg in 1929. 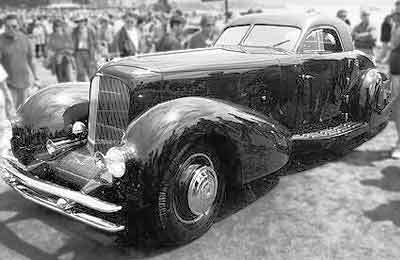 (Weymann's immediate successor - the A.H. Walker Company [aka Walker-LaGrande] - built seven more bodies for Duesenberg in 1934-35). 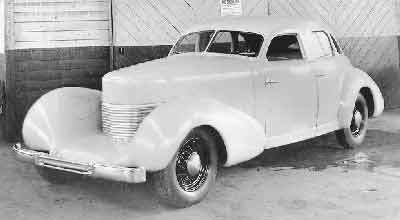 A handful of bodies were produced for Marmon, Peerless and Cord, the most famous being two Cord L-29s - a coupe and a cabriolet - built for bandleader Paul Whiteman. Unfortunately Weymann American ceased operations - within a year of the above press release - at the end of 1931 although a few 1932 Stutz’s were equipped with leftover bodies. Weymann’s last job for Stutz was a handful of DV-32 Bearcat and Super Bearcat bodies introduced in 1931. The first few Super-Bearcats carried Weymann bodies, but when they shut their doors later that year, Murray took over their manufacture.